Amal and George Clooney leave today Rome. Amal Clooney carried a hat box from Henry Heath. 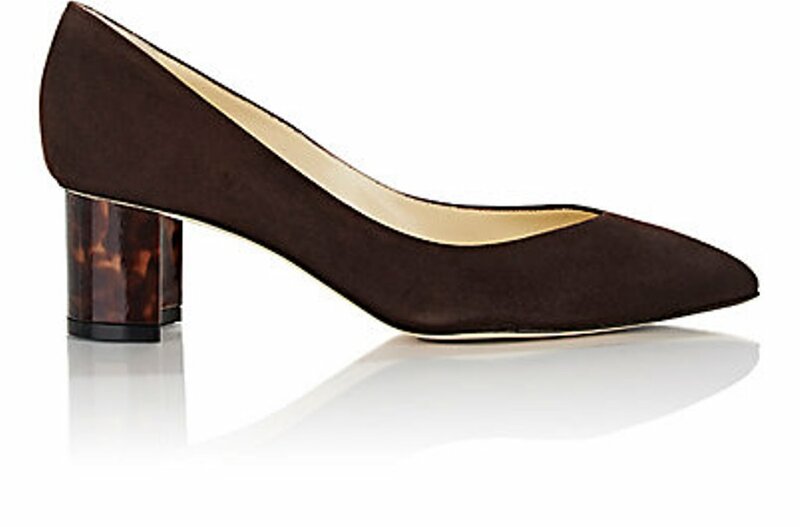 She loves Sarah Flint pumps for travelling. 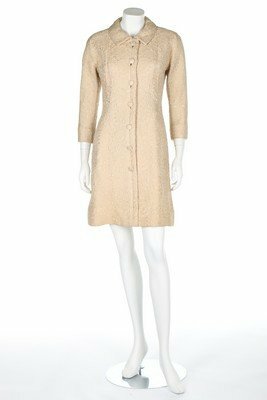 A Balenciaga couture beige brocatelle tunic style dress-coat, August, 1963, Paris label and numbered 87071, button fronted with sewn up lower skirt area, bust 86cm, 34in This would originally have been worn with a zocalo under-skirt. Moshnist- I do not know what you mean. Love, love, love her outfit! La dolce vita! Re her hat/turban: it is customary for women to wear a hat or veil when meeting the Pope in a private audience, which is why she wore the hat/turban yesterday. 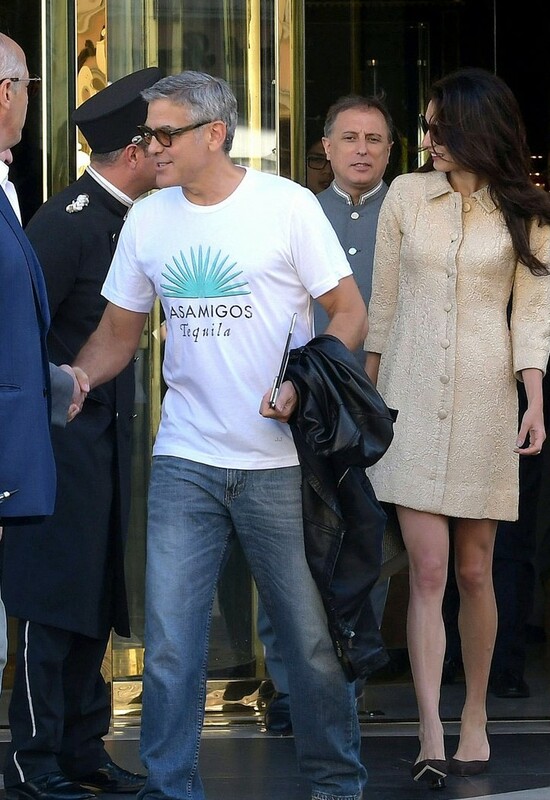 I just wish GC would stop with the casamigos t-shirt. Enough pimping the tequila. His wife makes the effort, why can’t he? He can look respectable and be comfortable. In fact he looks younger when he dresses nicely. I am being honest when I say this: Amal has an excellent advisor and protocol project manager, and we need to give them credit for all the suggestions and choices they have proposed her. Word has it ( and it is confirmed) that George is paying a team that takes care of her physical appearance, well being as well as clothing protocol. Given his ambitions, I could say it is understandable. Her, on the other side, i could give her credit for maintaing calm and elegant approach. I love this very simple but so stylish little dress. The length is perfect. See, this is a dress that would like plain or boring on someone else. 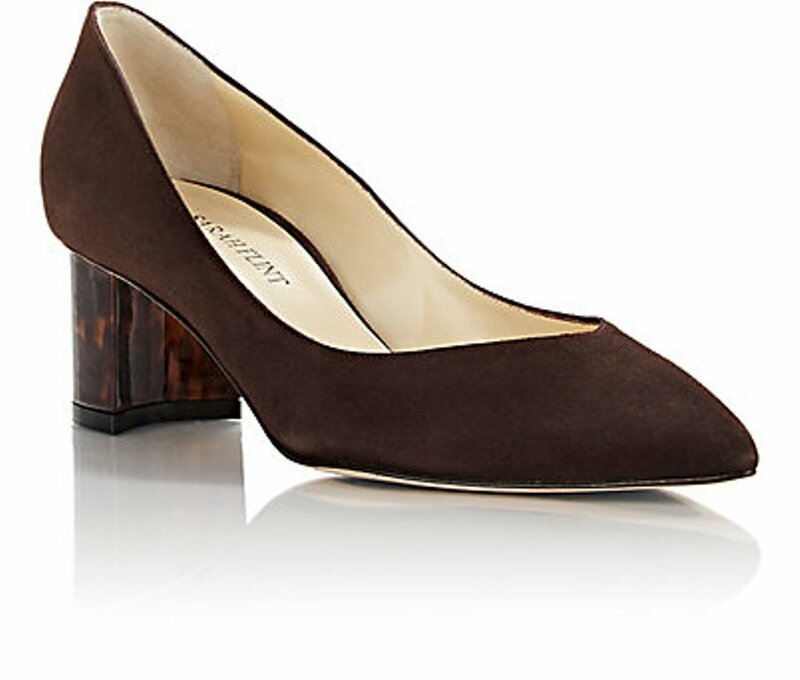 On Amal, it’s sleek and great. Nati, is the dress blush, ivory or pink? 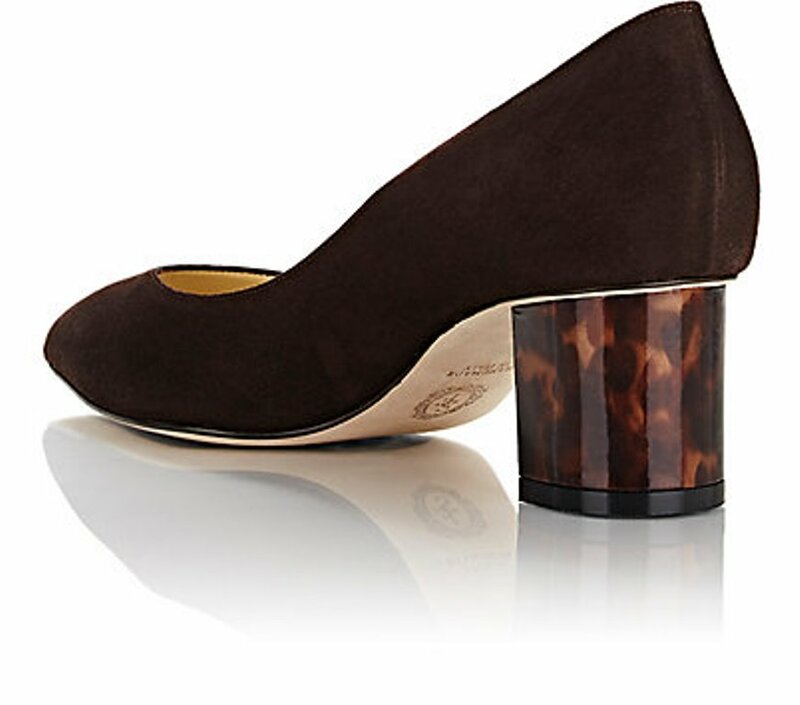 Anyway, it goes very well with the brown suede shoes. Another great look for Amal. I must ask… Are you a relative of Amal?? Why people who post a positive comment are always considered as “relative of Amal” ? Stop this. As always, beautiful……..but on a travel day (blend with George)—-throw on a pair of jeans, a little denim or cotton jacket, a tee, swoop your hair up or don’t curl it, throw on some sneakers, flip flops, ditch the big tote for the day and just “go with it”. Sometimes things can be a bit too orchestrated. 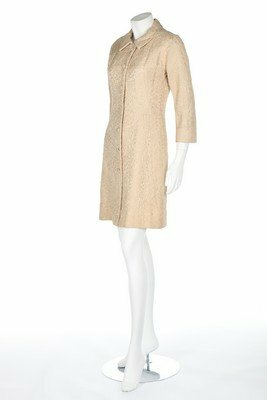 This is a jacquard coat dress. And she’s going where?? I agree, Jaclyn! Amal always looks attractive, and she and George look very happy. But I can’t help thinking about how time-consuming and exhausting it must be to have to plan and obtain all of these outfits, not to mention having her hair and makeup done so often. She obviously has decided that appearing flawless at all of George’s public appearances is more important than putting substantial time into her own career — there’s no way she could manage to do both. It is not clear that he is making the same kind of sacrifice for her. When you look beyond all the glamour, it seems like a very traditional kind of relationship. Amal has absolutely lovely legs! 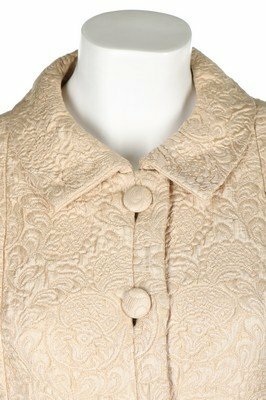 Love the vintage coat dress. But agree is quite a mismatch in outfits between her and GC. 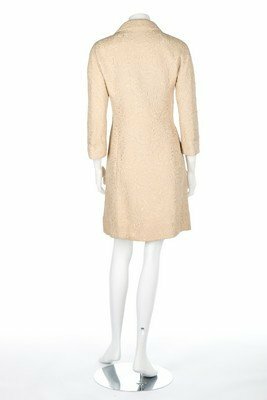 I like the coat dress, especially since it’s vintage, but think it would look more elegant and modern if worn with pants (even jeans) or a knee-length skirt. On its own, the coat dress seems kind of frumpy. Lady, I think it she was going for a sixties Jackie O look, which is perfect for leaving town on a private jet (*sigh*) which they did. Amal should go to Rome more often. Her entire wardrobe for this trip was fabulous and very jet set, very dolce vita. I agree. I think it looks frumpy and I didn’t enjoy her clothing selection this trip, except for the silky off the shoulder dress. The turban was unique but her hair looked awful with it, especially from the side. Her hair looked a bit dry in some of the Vatican pics. Maybe because she coloured it recently. It looked redder at Cannes. Or is that hair extensions? I can never tell. This outfit is a damned sight better than any of those hideous Stella McCartney concoctions. Her hair has always been dry. Easier to see when she doesn’t wear extensions and when she straightens it. I think she should have worn something under the cost … The fabric is probably light or old, you can actually see her underwear in some pics (look At the one whete she is entering the van). Yes she probably doesn’t win a style price with her hair when in the Vatican, and the Monsi dress has not totally convinced me yet, and yes you could call it overdressed when leaving Rome, but in general for me her wardrobe choices during the Rome trip was a 10 out of 10! Ok…I just have to ask after all these months. How are you related to her? I love it when she carries a hat box! There is actually a previous picture of her traveling with a small red round piece of luggage. It’s not a hat box but it kind of has that vibe. Has that piece been identified on this blog? Great blog! She wores the extensions when she were at the restaurant Bolognese ,the 05/28/16. And when she were with the pope ,she doesn’t wear the extensions hair . Hi Irena and Ines, are you the same person???? Strange two comments and both the same text. The dress is great but on it’s own, it appears to look like an old house coat. This should be also worn in the evening not the daytime. Something is missing. 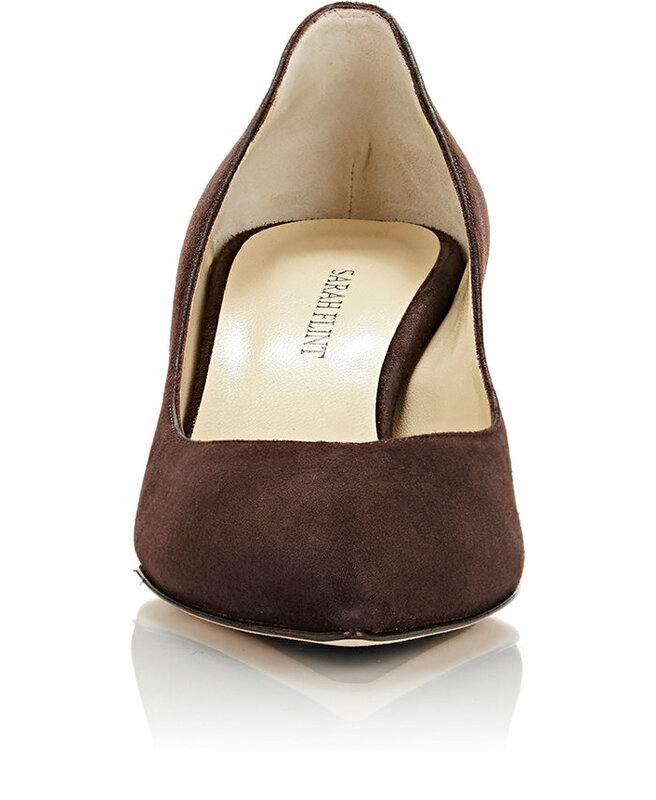 Great shoes. Enough with George pimping his booze. Pimping the booze is not really funny. You might like to read about his grandfather – fathers side – and his aunt, also fathers side, Rosemary Clooney, and then a lot of things will become clear to you. George looks like a house painter. Why? Ines and Irena: thank you. I don’t know why she uses extensions. Maybe her hair is thinning. It happens to a lot of women nowadays. Claudia, interesting point. Why would he pimp booze if he knows how destructive it can be to families? In truth, I think he is very clever to exploit two human weaknesses/indulgences (alcohol and caffeine) to obtain marketing and financial gains, and then re-brand himself as a humanitarian. 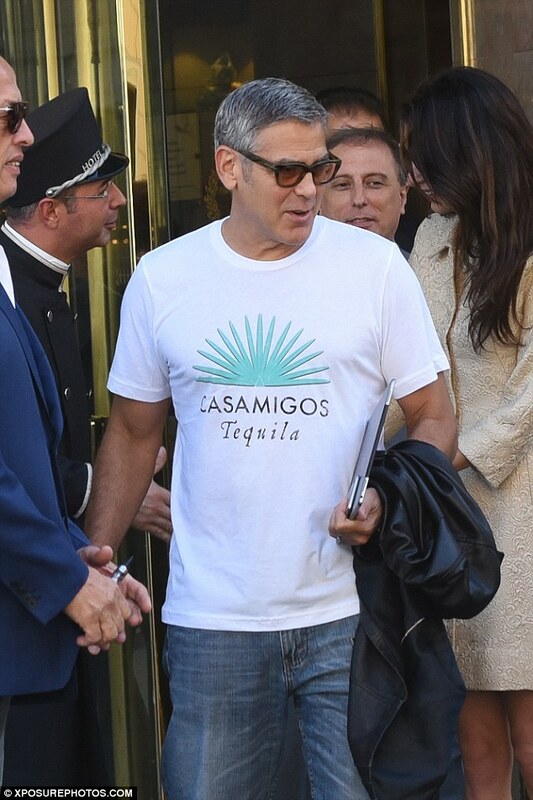 The only real unscrupulous and highly morally reprehensible behaviour I can attribute to his pimping, is when he allowed his business partner Rande, to wear the Casamigos T-shirt to the premier of a children’s movie, Tomorrowland. At that moment – I felt Clooney laid himself and his intentions bare and he became repulsive to me. I know I keep saying it – but Amal was too good for him. Was. She’s changing now. I live in Australia and she’s coming here in October to talk at a conference re work diversity and equality for women. Elite women. Those who can afford to lunch with her at $2220 per head. I find it a bit ‘rich’ that women need to spend more than their average weekly wage to hear from a woman, who only wears high end garb, while most of the women in the world eat out of a can. I am so disillusioned by the hypocrisy in Amal being a speaker on the pay gap inequalities – when her conspicuous consumption reinforces the divide between the world’s rich and poor. I know you won’t publish this Nati. It goes against all that you want Amal to be. But it has to be said. She’s changed. The price for the conference was not fixed by Amal. The Casamigos shirt to a child movie premiere was a mistake also for me. The price for the conference is driven by Amal’s appearance fee. I think some of what she does and represents now (her materialism, consumerism, conspicuous consumption and high maintenance), goes against all that women have worked so hard to achieve. She has changed Nati and I am saddened at the loss of what could have been a wonderful and real role model for young women everywhere. I feel George is manipulating her image for his own purposes – but she is intelligent and has agreed to it. In the process, that authentic being that young professional women aspired to emulate in the beginning, has been swallowed by a strange and vain creature intoxicated with her own stardom. And I know this is silly – but I liked her face better with the smile crinkles around her eyes too. The botox is terrible and has aged her. She was so beautiful and fresh before. I so agree with Anna, just look at the picture heading this blog, the second from the right, this fresh faced beautifull women . Where has she gone? I had such high hopes when I first heard and start reading about her. And no I am not being jealous as has been insinuated before just disappointed in her choices. Amal loved (wedding Venice) and still loves to be photographed and to be in the limelight (Cannes). She is responsible for her own life – she is not a little child – and Mr. Clooney is not her father. The most important thing i have learned in my life is to takeover the responsibility of what we are doing and saying. The advertising of coffee and booze is relatively harmless. If you look up the family of the wife of Amals cousin, the stepmother of this wife, who inherited everything and she is involved in the film business, sort of being the spot where aging actors still get a chance of making movies and considering that George is the producer of money monster and some family members from Amal’s side co-produced money monster, considering the extremely large family and looking up similar sized families controlling for example big cities in Germany, considering that these families have so much power that nobody, believe me, nobody dares to whisper their name, no judge, no police officer, no politician. Those structures are well known. Collect information, but don’t go to those hate sites, and put 2 and 2 together. I just want to stay away from these people. So, why are you still here ? I agree 100% with you, Anna. It is ridiculous for someone like Amal Clooney to be a speaker on pay gap inequalities. 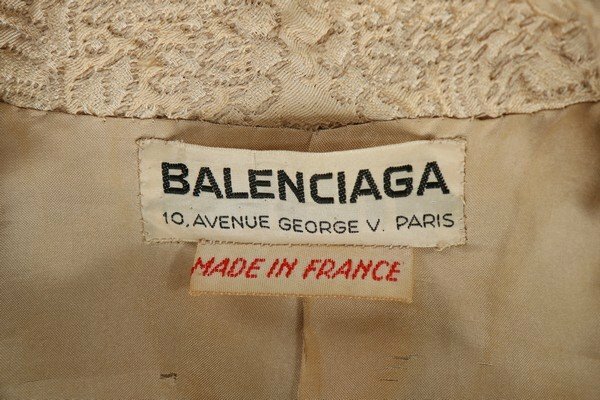 No matter what one thinks of her style, the amount she spends on outfits per day is more than many women earn in a year (whether she actually pays for them or they are freebies from haute designers looking for free promotion of their brand is immaterial) I too am disappointed that she seems to have become a high end clotheshorse. I think her pre-wedding look was more creative, more stylish and certainly more “real”. I also fear she has become a “celebrity” lawyer, taking high profile cases that others do the real legal work on (as in the Fahmy case) – to the extent that they require real legal work. Its quite easy with the profile she has attained since her wedding to George to become a “humanitarian” spokesperson who can command huge fees just for showing up. Its quite another to do the hard work that challenges inequality. I too thought at first she could be a role model. But I fear that’s no longer the case. Claudia: what the heck are you talking about?? I don’t understand a word of your post. Amal has a new case representing the Yazidi women tortured by Isil. I guess that doesn’t count as much as whether she has had Botox or not. Chacun est libre de penser ce qu’il veut !!! Des pensées à l’eau de rose . Mais la réalité n’est pas celle-ci ! Cet argument ,est plutôt simpliste et réducteur . Le prix avancé par Anna pour la conférence en Australie est un mensonge et je vais prochainement faire un post à ce sujet vu qu’il a été mainte fois publié dans la presse. Amal a beaucoup de choses (l’homme le plus convoité de la planète, l’intelligence, de l’empathie, beaucoup d’argent, un travail prestigieux, la beauté, un sens du style, de la classe, etc. ) et cela peut titiller la jalousie de nombreuses personnes. Je ne pense qu’il faille partager tous ses choix, mais un mimum de respect est le bienvenu.